If you’re getting a bit bored with your current Facebook profile picture then you’re going to love this new Facebook application that allows you to create your own cartoon character. You can create yourself as a cute manga style cartoon character and then post it on your Facebook profile. The application is called “dtac one DIY” and if you’re from the western world there’s a good chance you haven’t heard of it. This funky little Facebook app was created for a promotion by dtac, a mobile phone service provider based in Thailand and it looks to be very popular over there with nearly 2 million users. 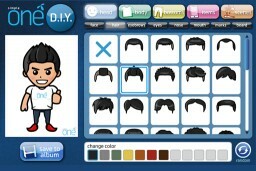 As you can see from the above screen-shot, the application allows you to create your own character by choosing various options for hair style and colour, face shape, eyes, clothes and even accessories. 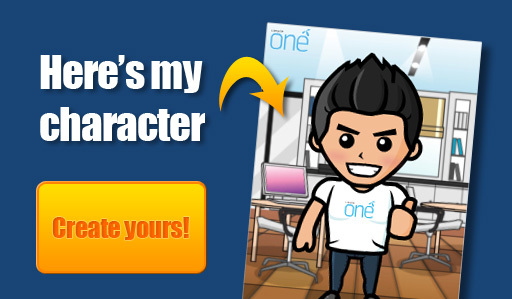 The character designs are pretty good and there are quite a few options available for you to customize your character. Once you’re done there is a handy button to publish your character to your Facebook wall for all your friends to see. I created myself below and it was pretty fun. Give it a try! Here are some other great character generators you could try: Simpsonize me, Mangatar and Southpark Studio. 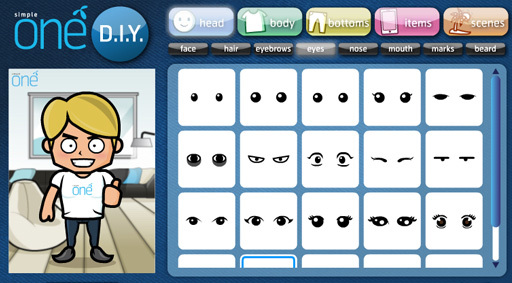 Create your own Southpark character with SP Studio! do you have any yahoo cartoon that i can create so i can have a picture and send it to facebook please email me back as soon as possible thank you.